Krew Comb Cream * 10 oz. Sanek: Krew Comb Cream * 10 oz. 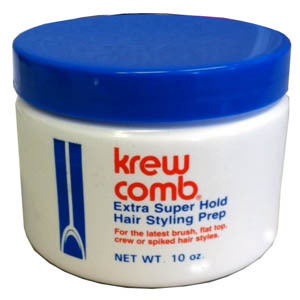 KREW COMB EXTRA SUPER HOLD HAIR STYLING PREP 10oz. 10 oz. Jar is discontinued by factory and we are out of stock.